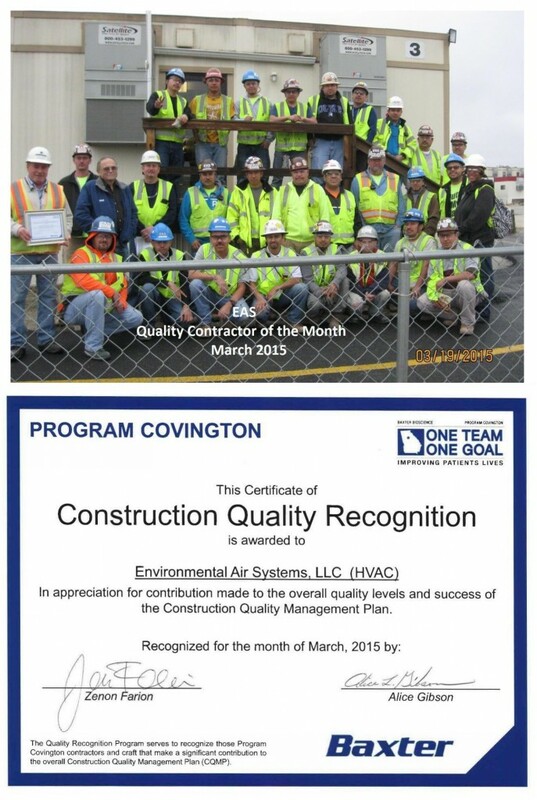 Congratulations to the EAS K510 HVAC team in Covington, GA for receiving the Quality Contractor of the Month award on the Baxter Pharmaceutical Project. GREAT WORK TEAM! !